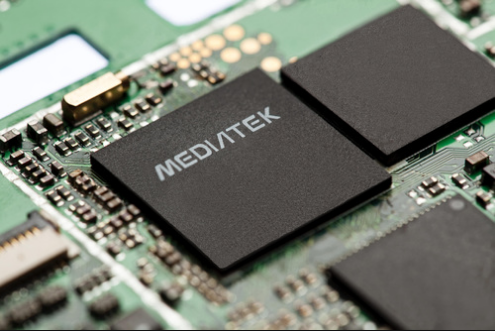 MediaTek is a Taiwanese chip manufacturer which is quite sought-after owing to its range of low cost, high performance processors, thus making it a viable option for those willing to emphasize on cost reduction. As we can see many of the Smartphone’s launched in recent times having quad core processors, like XOLO 700Q, Micromax A116 CANVAS HD, etc, have different variants of MT6589 processor namely MT6589, MT6589M and MT6589T. we have already covered the benchmark comparison of MT6589 AND MT658T in ZOPO 980 Let’s compare these processors and find out their need specific eligibility. This is the entry level processor in this series of quad core cortex A7 processors. Unlike its other two counterparts this processor will only supports up to 8 MP cameras. It can encode and decode only 720p resolution at 30fps and hence can support maximum qHD resolution. This budget quad core processor is clocked at a frequency of 1.2 GHz which is similar to MT6589 but less than MT6589T which has a clock frequency of 1.5 GHz. The graphic processing unit (GPU) employed in this processor is PowerVR SGX 544 MP operating at a comparatively lower frequency of 156MHz. GPU are co-processors designed for complex calculations required for speedily displaying graphics and thus have a direct effect on image quality, colors, shading, textures and patterns. A popular phone powered by this processor is XOLO 700Q. MT6589 is the intermediate quad core processor in this series. It supports a full HD resolution of 1080p and is thus, better in this respect as compared to MT6589M. you can watch HD 1080p video in h/w mode. This processor can support up to 13 MP cameras. The clock frequency is similar to that of MT6589M at 1.2 GHz. It costs more than MT6589M and less than MT6589T. The GPU of this processor also is PoverVR SGX 544MP operating at a higher frequency (as compared to MT6589M) of 286 MHz. This processor can be seen on many quad core Smartphones priced above Rs 10,000 like XOLO 800Q, Micromax A116 HD and ZOPO ZP980. In this series of quad core processors MT6589T is the elite processor capable of decoding and encoding full HD 1080P resolution.MT6589T can support up to 13 MP camera similar to MT6589. The clock frequency is 1.5 GHz , which is better than both MT6589M and MT6589. The is PoverVR SGX 544MP GPU of this processor operates at the highest frequency in this series rated at 357 MHz and hence will provide with slightly better graphics. This is also costlier than MT6589M and MT6589. an example of a smartphone powered by this device is zopo980. Lets put these specifications in a tabular form for easy comparison. All of the above 3 processors have cortex A7, 28 nm process technology. Also all of them support 3G connectivity and HSPA+ modem . If you are a basic user and don’t engage in extensive gaming, performance of all three processors will suffice. Though most games will run lag free on all of the above processors but MT6589T, equipped with a better clock frequency GPU can cater to advanced gaming needs better specially when you are playing intense graphic equipped games. MT6589 and MT6589T support full HD resolution and can support more powerful camera; this will be the core issue on which you judge these processors according to your need. What a shame that xolo degraded their chipset to MT6589M. If you are already giving something to your buyers/customers then you should continue with that only, it is highly unacceptable to offer your new buyers something which underperforms in terms of performance. I have xolo q800 and i was somewhat satisfied with it but now i know older q800 buyers have something better than what we do it really makes me upset. My cellphone’s chipset is MT6589M. Disappointing. Can you guys please confirm which mt6589 processors do huawei G700 and lenovo s820 have respectively? which of these might be better ? I just want a budget phone for high end gaming such as dark knight rises and gta vice city. Lenovo S820 has MTK 6589W chipset and we are not sure about the huawei ascend g700 but its not mediatek – it might be huawei own chipset. Huawei Ascend G700 has MTK6589 chipset. You are asking or telling us ? So where does MTK 6589W belong to? we are a group of persons living at Italy, owners of the same version of a smartphone made in China. some phone (not all..) tested with antutu/cpu spy seem to reach 1,5 GHz, but according “CPU identifier” speed no more than 1,2 GHz…..we are suspecting that sellers found the way to manipulate software in order to influence results of tests….do you think it could be possible ??? Can you to be so kind to suggest us a 100% warranted system to identify the installed CPU ?? ?